In California Southern California with its more than 20 million residents has the greatest demand for power in the United States. The scarcity of water resources coupled with abundant sunshine and huge amount of available land make Southern California the ideal place to generate solar power. 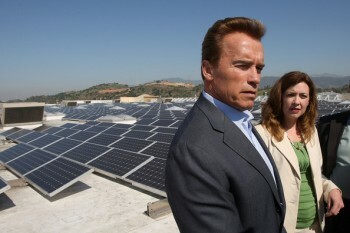 Solar Power is green energy that helps to reduce greenhouse gas emission thereby lessening the carbon footprint; both President Barack Obama and California Governor Arnold Schwarzenegger advocate the generation and usage of solar power. Presently there are 11 large solar thermal farms that are going through the nitty-gritty to get the permits from the California Energy Commission. There is a mad rush to get the approval for these industrial sized projects since Federal stimulus funds, which could amount up to 30% of the projects’ costs, is going to expire by the end of 2010 and this contribution is going to be available only if the projects start by the end of the year. If all these projects get materialized, the federal contribution towards the costs is going to be nearly ten billion dollars. It is a difficult proposition to balance energy needs and economic benefits without compromising on environmental concerns and therefore, this deadline has created the importance of coordination between different interest groups having billions of dollars riding on these projects. Some environmentalists want to ensure that these projects take care of all these areas without flouting environmental laws; however, some are of the opinion that a minor amount of habitat destruction is worth the substantial economic and energy gains from these projects. 10 of these 11 proposed solar farms are going to be based in desert areas with one of these in the southern San Joaquin Valley and one of these 11 proposed farms is going to be located around 4.5 miles southwest of Primm Valley, Nevada on the Ivanpah dry lakebed; this is why this project is going to be called the “Ivanpah” farm. The project would require hundreds of construction workers in the short term and 50 employees in the long term for its operation; therefore, it is going to have enormous economic impact on the Primm area. Once operational, the Ivanpah solar farm is going to generate green energy sufficient to cater to the electricity demands of more than half a million California homes and is also going to provide a big boost to the California utility companies since, under the federal mandate, by the year 2020 these companies would be required to consume 33% of their energy demand from renewable resources. 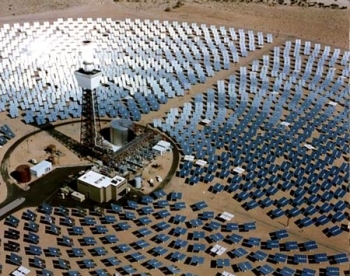 To comply with the environmental laws that required lessening of damage to desert tortoise and other rare plant habitats, the Ivanpah solar project has been restricted to 3,500 acres, which is a reduction of 12% from the original size. The tight timeline has made the project developers skeptical as to whether the deadline for the federal stimulus is going to be extended or not. Regarding this the California Senator, Dianne Feinstein has proposed legislation; however, since there is no guarantee of an extension, these solar farm projects are trying level best to get approval by the year end. In a year, the California Energy Commission approves about 7 major energy projects in the state, which typically include natural gas or other energy sources. These projects are creating unprecedented demands on the energy commission, which is stretched to the limit, not only due to the tight deadline for the federal stimulus funds, but also for the employment opportunities that these can bring, once underway.